Established in 1919, Grand Canyon National Park is the United States' 15th oldest national park. This great canyon, a gorge of the Colorado River, is often considered one of the Seven Natural Wonders of the World. The park covers 1,217,262 acres. In 1903, President Theodore Roosevelt visited the site and said: "The Grand Canyon fills me with awe. It is beyond comparison—beyond description; absolutely unparalleled throughout the wide world... Let this great wonder of nature remain as it now is." 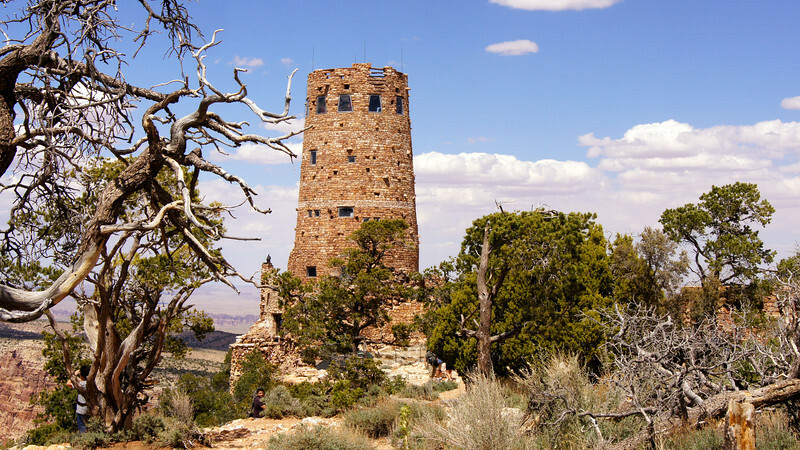 The Desert View Watchtower at the east end of the Grand Canyon, Arizona.